What is laparoscopic camera surgery? Laparoscopic camera surgery (keyhole surgery) is a minimally invasive surgical technique which allows the surgeon to treat a variety of abdominal conditions. 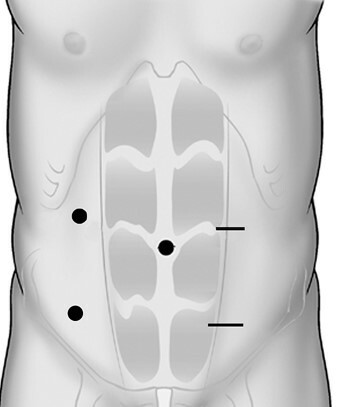 Laparoscopic camera surgery is done through a few small incisions (typically 5 to 10 millimeters in size) [Figure 1]. An additional small incision is made in the lower abdomen to remove any diseased part. Using fine small instruments and a camera, the surgeon is able to operate with great precision inside the abdomen. The technique was initially adopted in surgery around the late 1980’s for simple operations such as gallbladder and appendix removal. As the technology improved, there was a gradual introduction of this technique for complex abdominal operations such as colorectal surgical procedures. Laparoscopic colorectal surgery requires advanced training and a high level of expertise in order to perform it safely with the best quality outcome. Fellowship trained colorectal surgeons [surgeons with additional training] or minimally invasive trained general surgeons perform such delicate operations. 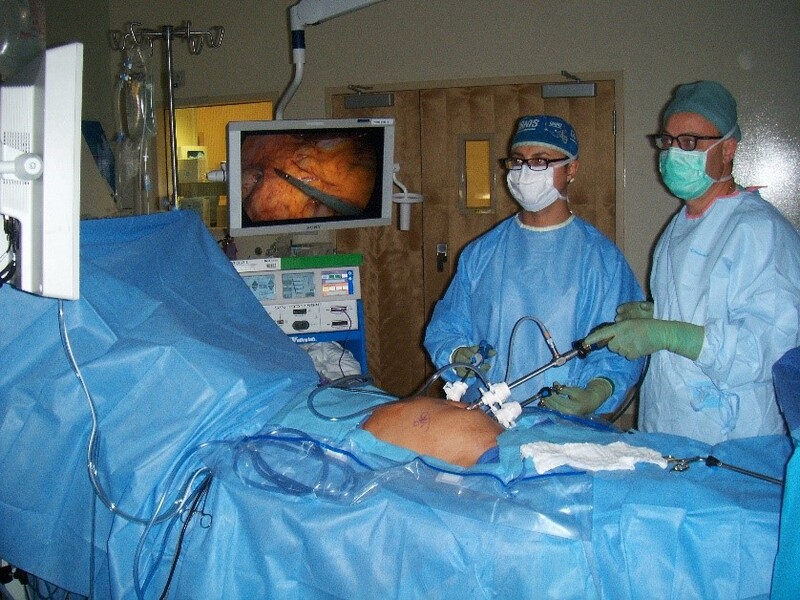 What are the advantages of laparoscopic camera surgery? Who is a candidate for laparoscopic camera surgery? 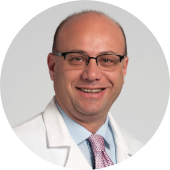 If you would like to schedule a consultation with Dr. Maher Abbas to discuss minimally invasive surgery for your condition, click here. If you have previously undergone any XRAY tests or operations, kindly bring all outside reports and imaging studies for Dr. Maher Abbas to review the day of your consultation.